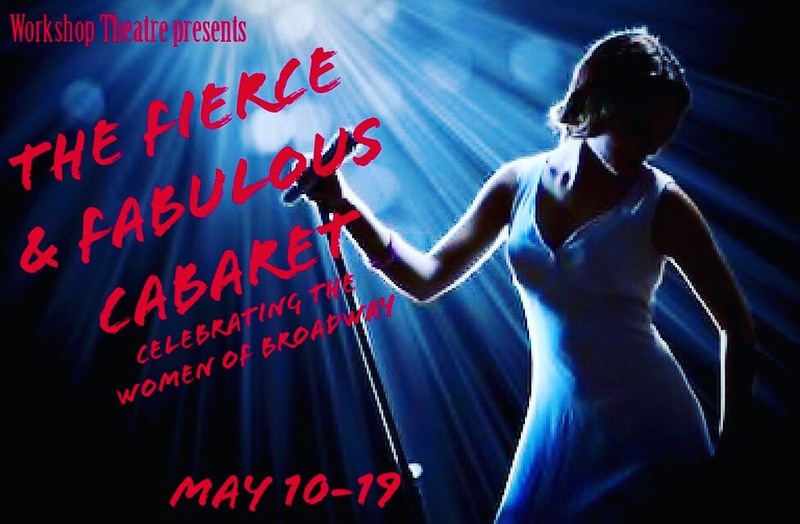 Workshop Theatre is excited to bring some of the best and most powerful female voices in Columbia to the stage with "The Fierce & Fabulous Cabaret: Celebrating the Women of Broadway" May 10-19. This musical tour de force will celebrate the women of Broadway through song and dance. You won't want to miss this stellar collection of performers. "The Fierce & Fabulous Cabaret: Celebrating the Women of Broadway" is a collaboration of director Jocelyn Sanders, with musical direction by Kathy Seppamaki, and choreography by Mandy Applegate Bloom. Workshop Theatre is very excited to bring the Disney sensation "Frozen Jr" to the stage this summer. Workshop has assembled a group of highly talented youth performers to bring the story of Elsa and Anna to life. Directed by Hans Boeschen, with musical direction by Jordan Harper and Lou Boeschen, and choreography by Katie Hilliger, this show is sure to delight the entire family. Mark your calendars for June 13-16 and come beat the summer heat with Disney Frozen Jr. Considered by many to be the most charming musical ever written, She Loves Me is a warm romantic comedy with an endearing innocence and a touch of old world elegance. Set in a 1930s European perfumery, we meet shop clerks, Amalia and Georg, who, more often than not, don’t see eye to eye. After both respond to a "lonely hearts advertisement" in the newspaper, they now live for the love letters that they exchange, but the identity of their admirers remains unknown. Join Amalia and Georg to discover the identity of their true loves... and of all the twists and turns along the way! The Workshop Theatre School of Performing The Workshop Theatre School of Performing Arts will be offering several classes and workshops this spring. In addition to the wide variety of classes, the acting school also off ers individual lessons including acting, dance, and voice lessons. For more information be sure to visit our classes page. Classes are available for both children and adults. Looking for a great gift for your theatre loving friends and family? A membership to Workshop Theatre's 2018-2019 Season would be a wonderful gift for a great price. If you would like to have a gift card sent to your friend or family, please email workshoptheatreofsc1@gmail.com and we can take care of it for you. Would you like to see one of our shows without paying a cent? When you volunteer to usher or sell concessions you get to see the show for FREE! If you are interested please contact Workshop Theatre at WTVolunteer1@gmail.com to volunteer at one of our performances. 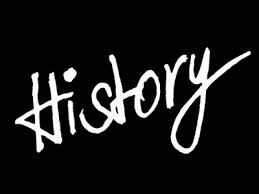 Be a part of Workshop history! 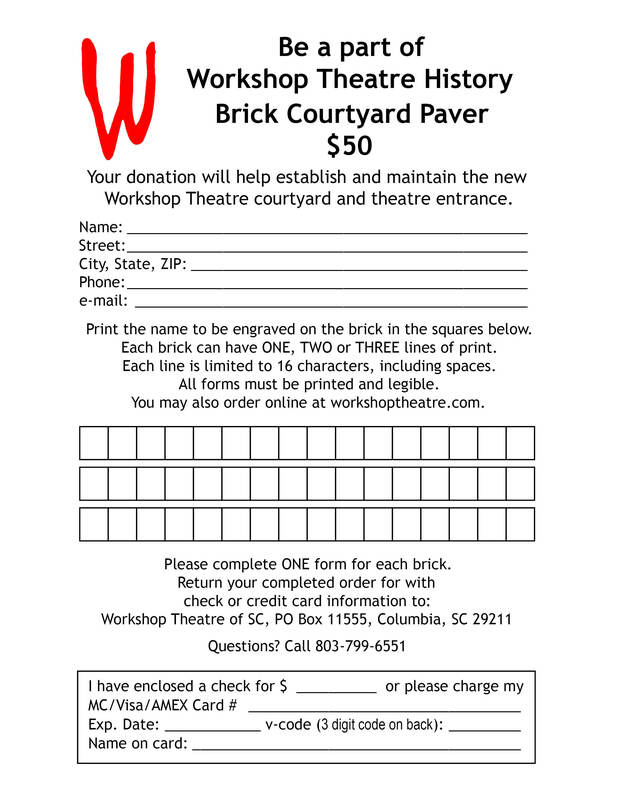 Purchase a brick courtyard paver.